Using rose perfume imported from Paris France, this is our very special incense that has a light fragrance with a gentle sweetness. 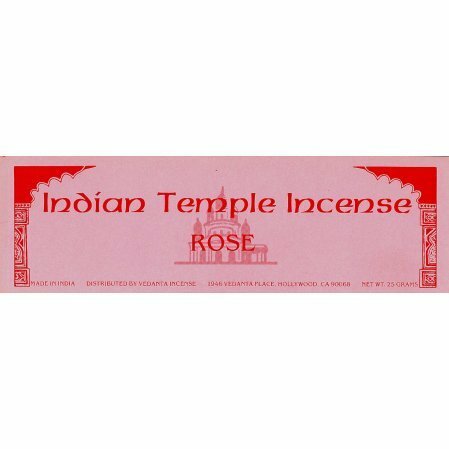 Rose incense really evokes a mood of being in a beautiful rose garden. I have loved this incense for more than 50 years. My sister and I have enjoyed Vendanta Society's Rose incense. It reminds us of being inside the Temple and meditating. Beautiful aroma. Your incense has been my favorite for, literally, 40 years & maybe longer. Sorry you're not carrying Lilac any longer.